That’s always the question for a lot of travelers. Whether to take an bus or fly between cities with long distances between them? While traveling by bus is cheaper than flying, it can take up to about 10 times the time. Also, some countries may have airlines offering cheap flights, whereas some may have companies offering comfortable buses as opposed to a chicken bus. 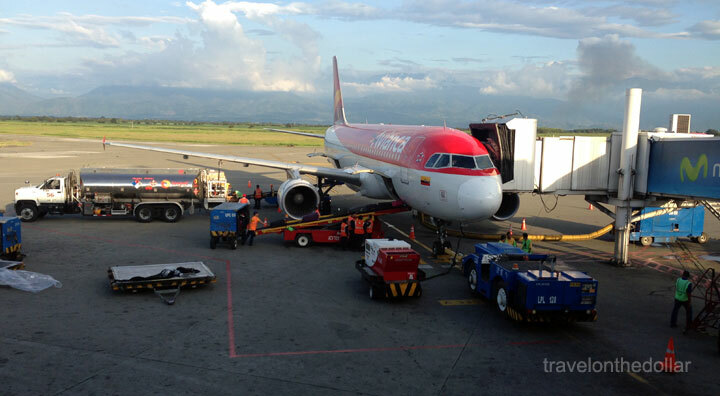 For example, during our trip to Colombia last month, we decided to fly from Bogota to Armenia, taking one hour via Avianca airlines. 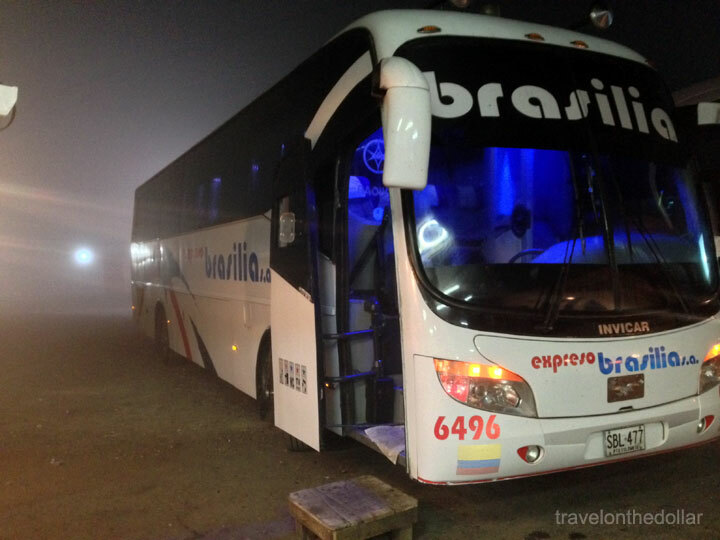 And we took a bus from Medellin to Cartagena taking 13 hours on Brasilia. So what factors help you make those decisions? In our example above, it costs $110 for a 40 minute, one-way flight from Bogota to Armenia, or $37 on a bus that takes 6 hours. On the other hand, it costs $210 for an hour and 15-minute, one-way flight from Medellin to Cartagena, or $67 for a one-way, overnight bus taking 13 hours. So you see it all comes down to costs – buses are about 5 to 10 times cheaper than flights. Taking an overnight bus to Cartagena from Medellin saved us the money that we would have spent on a flight ($210), and a hotel room for the night (about $45). Instead, we took the overnight, comfortable bus and slept throughout! Depending on how much time you have planned for your commute, you can save money by taking buses and experiencing the road-system and nature on your way. But sometimes, reaching to your destination faster can offer some great sight-seeing options. We had two days to visit a lot of places around Armenia, so instead of spending all morning on a bus, we decided to fly to Armenia from Bogota and spend the day visiting Salento and Valle de Cocora. Trains around Europe sometimes cost almost the same as a one-way flight on budget airlines like RyanAir. All in all look at what options there are out there in terms of costs and time before deciding on taking that transport option. Here are some tips on what you must do to survive public transportation and save money while traveling with the locals. What has your experiences been? Tell us in comments.